Hurrah! 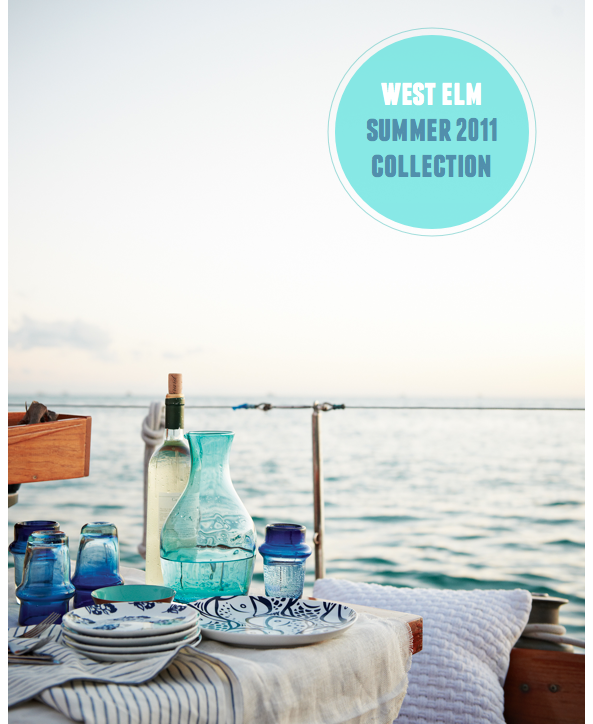 The summer 2011 collection from west elm is finally here and includes a divine mix of tabletop and textiles, as well as a newly launched west elm Kitchen range. The collection features three collaborators including David Stark (Mediterranean inspired entertaining), Lourdes Sanchez (pillows and prints) and Stray Dog Designs (paper-mache accessories and lighting). Whilst I do love their new kitchen range and Sanchez's sea life inspired pillows, especially the whale design, it's David Stark's work that stands out for me. I like Stark's philosophy of taking ordinary items and turning them into extraordinary pieces and was interested to learn that he is a classically trained painter. 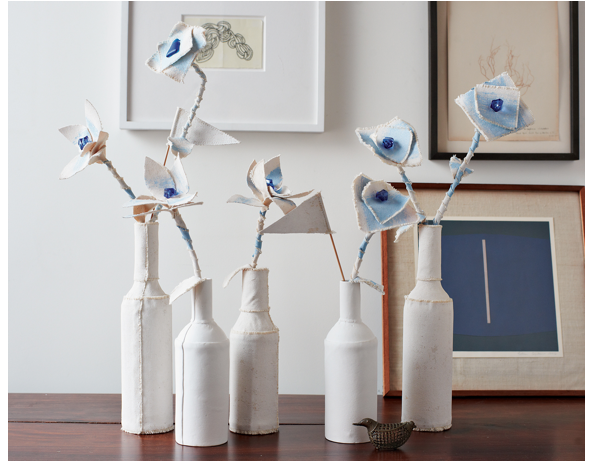 This skill is apparent in his watercolour tableware, which sits alongside the flowers he made from canvas. 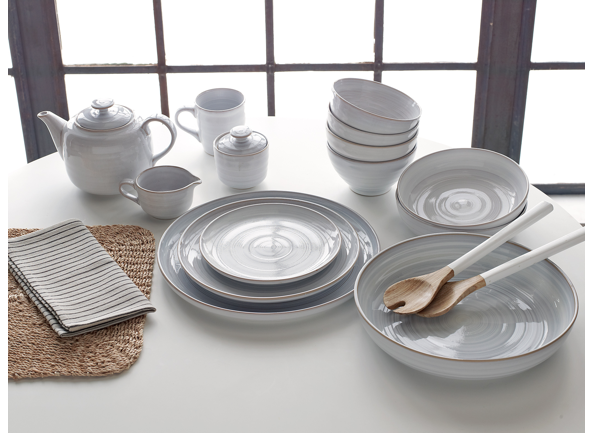 What stands out for you from west elm's summer 2011 collection? love love love west elm!! they never disappoint...love the summer looks. 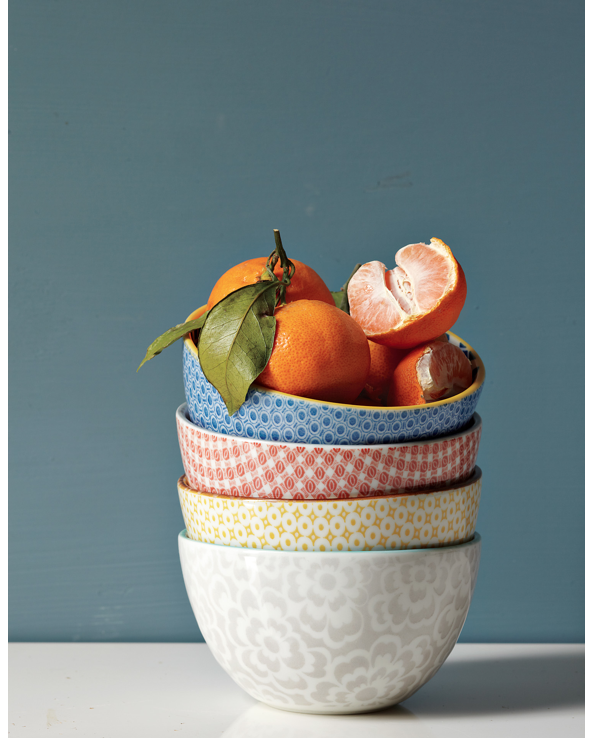 the bowls at the very bottom look like anthropologie! 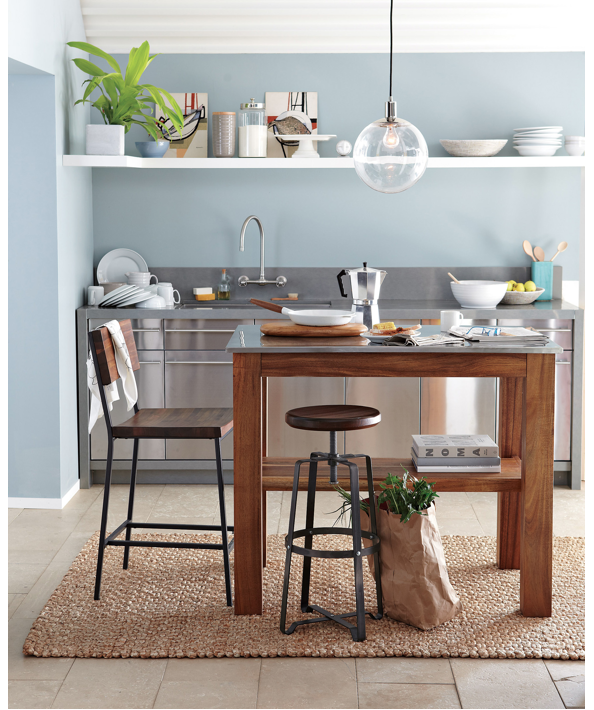 love love love what west elm's doing... nailing it! Where did you find these photos? I can't seem to find them on the website? holy smokes will you're fast! 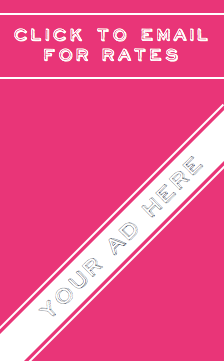 i haven't even have had time to open my pdf's up! 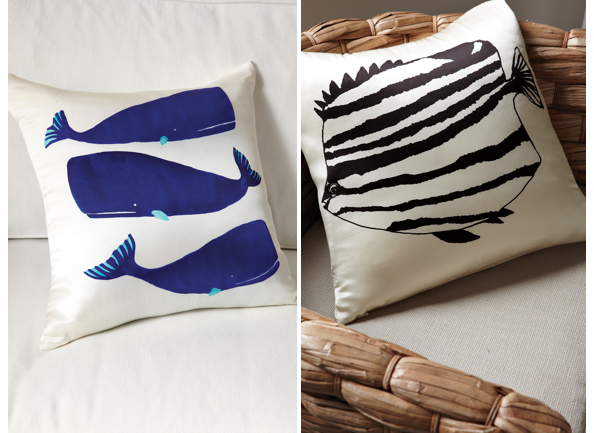 Adore the whale print pillows.. love love the blue on everything! I was just at a nearby west elm two weeks ago and I had to stop myself from buying everything! You are not kidding! I've said it before, but I think a stylist's job must be the best in the world. Those pictures gave me such a rush!!! Is that weird? Haha. Love those measuring cups. You tease! Are West Elm coming to UK yet? It's all so cute, I can't stand it! 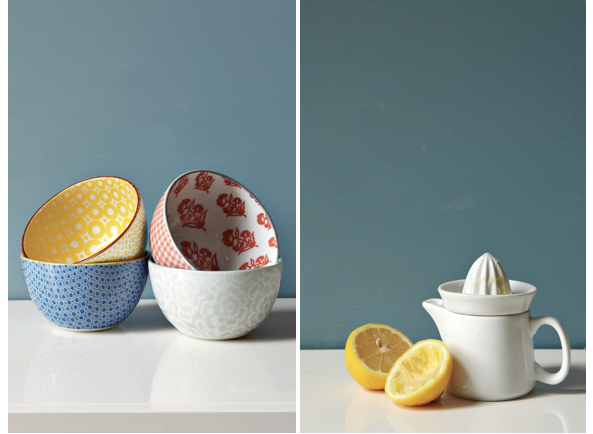 Those patterned bowls and cups are my favourite! 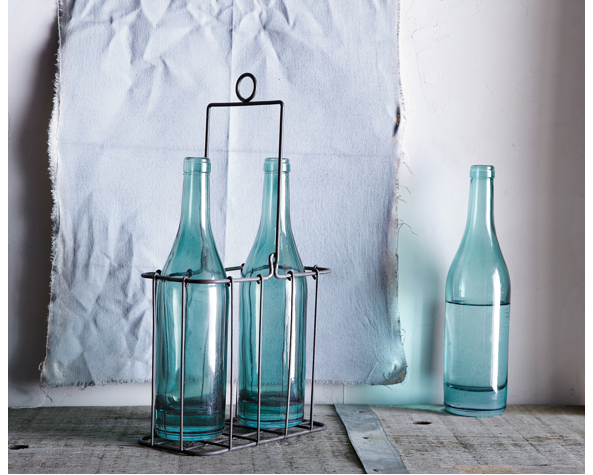 Loving this West Elm collection! It has me dreaming of warm ocean breezes and fun get-togethers with friends. Loving those bowls! 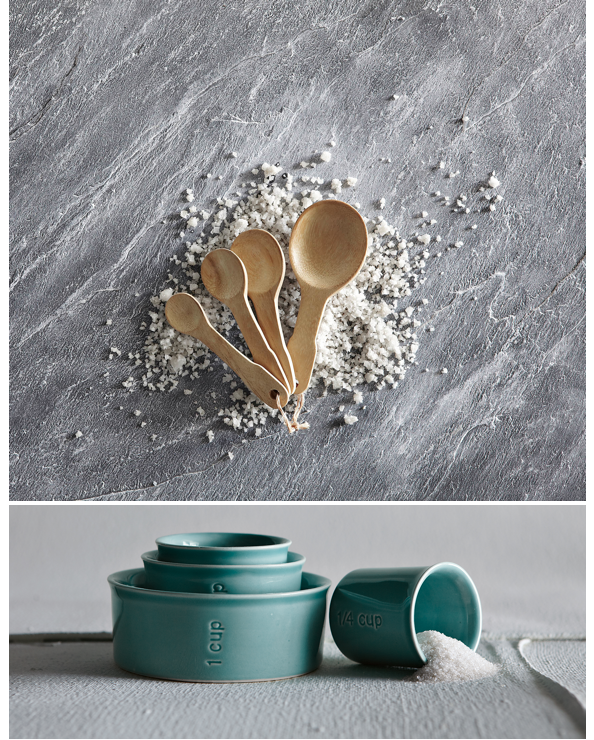 Oh West Elm, they make me want to thow out everything I have at home and just get THEIR stuff! Will stop by one of their Manhattan stores today as I plan to go to NYC for the day. 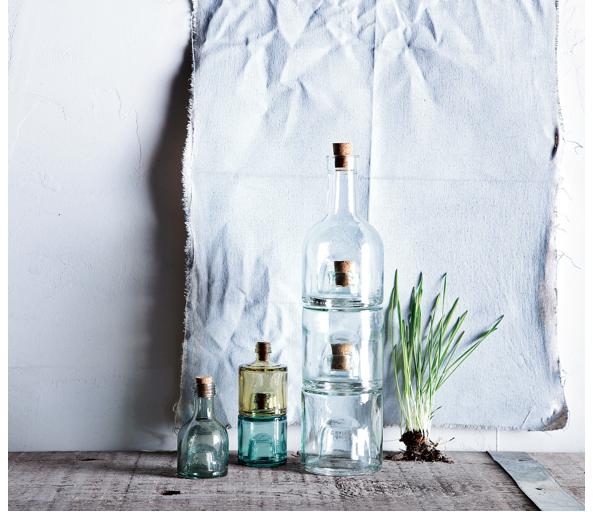 have you noticed many Mediterraneans bits in these collections? I love it! 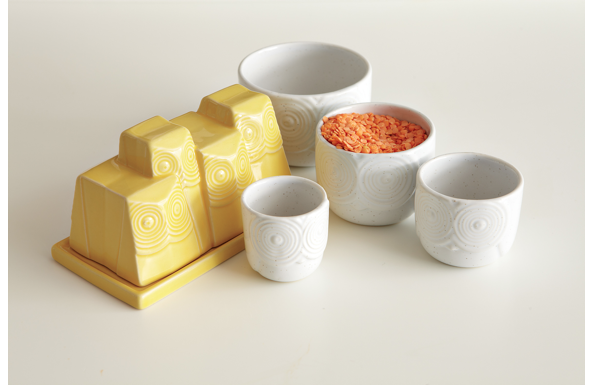 Hi Will, I'm loving all the ceramics, especially these patterned beauties at the bottom! 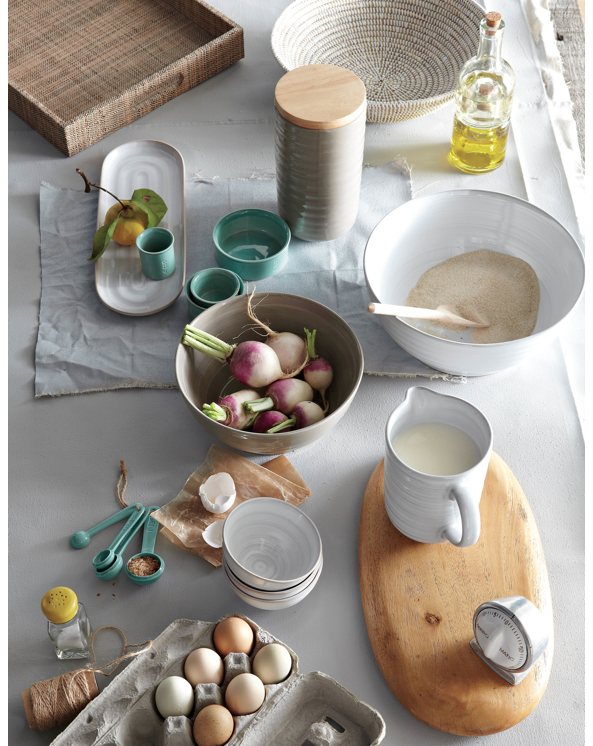 West Elm makes me want to buy their entire catalog every season. Always such beautiful prints and use of color. 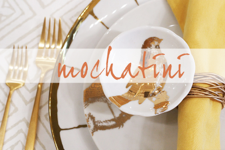 I'm especially loving those watercolor place settings with the raindrops and stripes. Awesome! 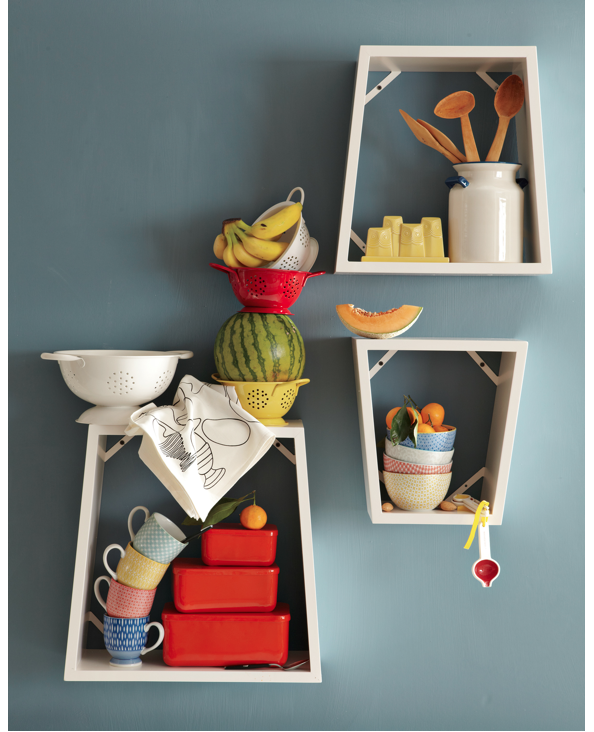 I want those shelves and those owl dishes. great post!!! i think i need one of everything! 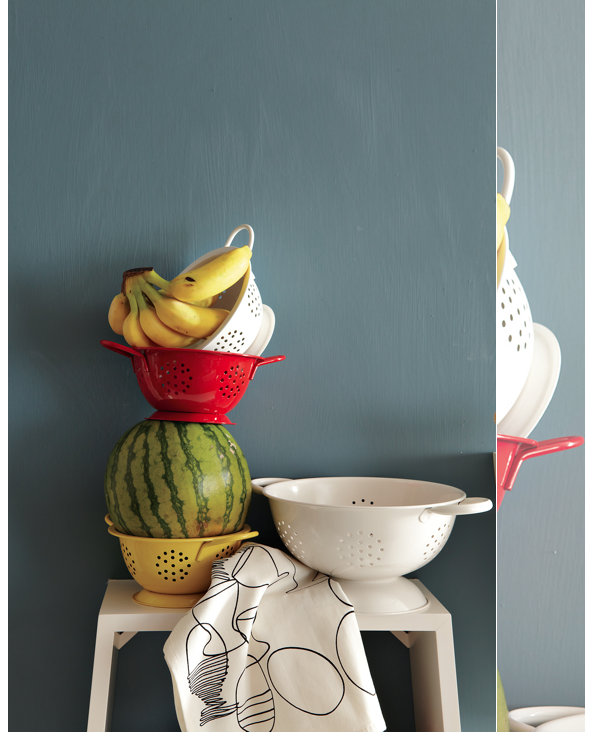 The picture with the watermelon, bananas, almost tumbling over teacups, kinda reminded me of my own kitchen. Would never think that it would make a nice picture...But like they say beauty lies in the eyes of the beholder...so YAY! Totally love this! 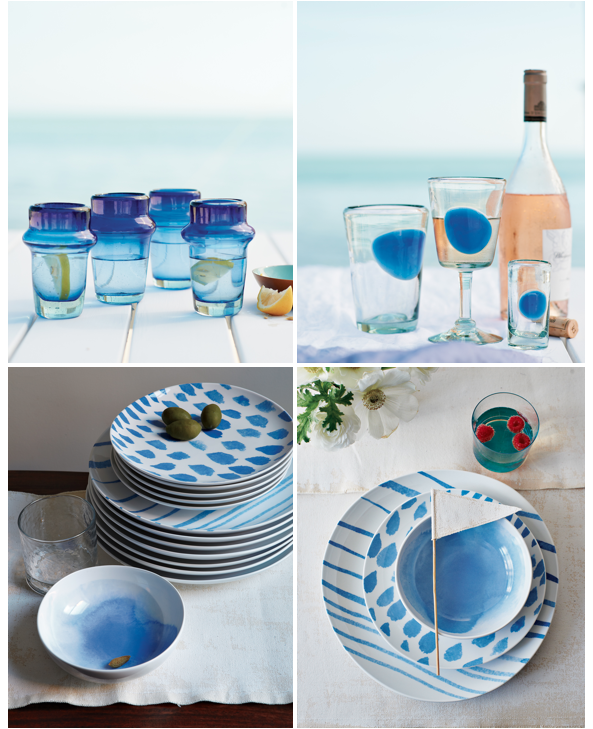 Every piece makes me want to take a trip to the Greek islands! KC you are right, these pics totally make me think (and reminisce) of my home country Greece!!! The last shot is beyond inviting. Love it. Oh, summer! So many nice things and the top picture is really lovely. ah! so much blue and white. My heart goes boom boom. 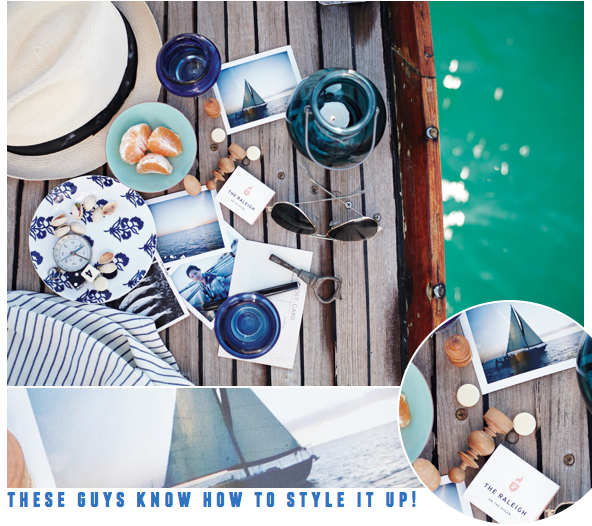 OMG - you are so right - incredible photo styling and I am dying for those blue and white painted plates - remind me of Santorini Greece! Will this is wonderful and I love these Summery home treats! Blue, white, lazy days in the sun.. sand between the toes.. Sigh, why has it all come to an end here in Sydney..! Love at first sight really.. This is such a great styling shoot! I've been self-teaching photography & styling and there is so much to learn from this. Thanks for sharing! 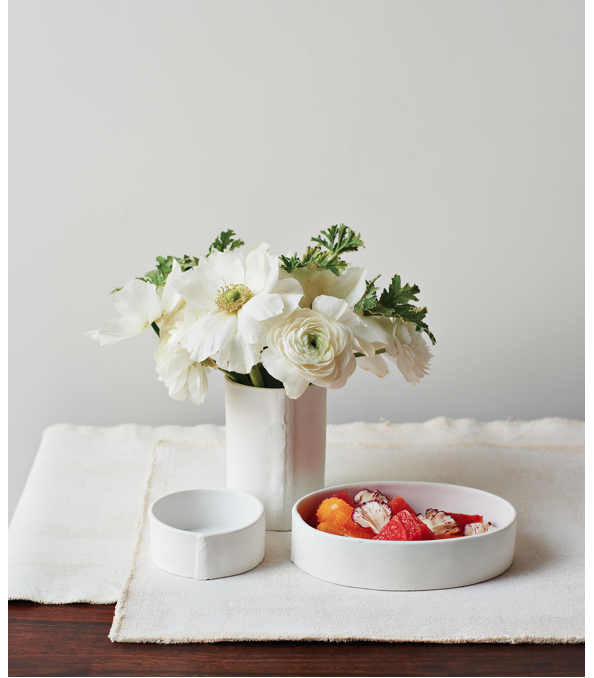 The watercolored tableware by David Stark is absolutely gorgeous; the styling ethereal! 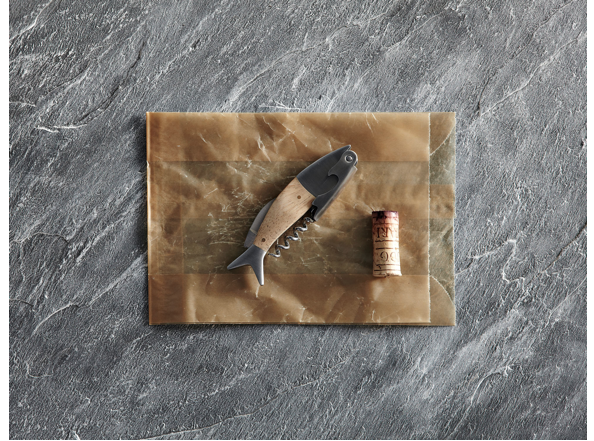 That fish corkscrew will be a great little hostess gift this summer also! wow, really beautiful article. I love the bowl !